How Far is Olive West Apartments? Olive West Apartments is coming up with beautiful flats having abundant space and soothing interiors. Each apartment is being built with choicest floorings and fittings. 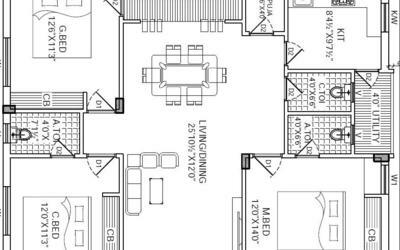 These elegant apartments are coming up for those who needs everything best in their life. 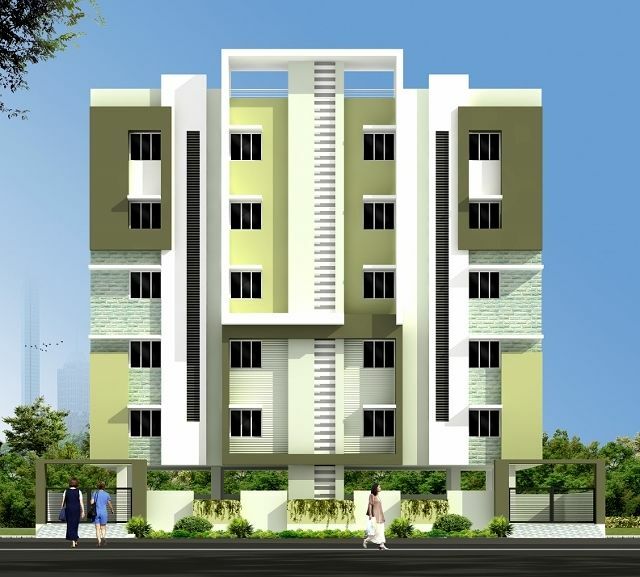 Offered in a range of 3 BHK, these are built with top branded floorings and fittings. Vitrified Tiles 2.X2. in Hall. Bed Rooms & Kitchen. Ceramic Tiles in Balcony. Marble in Passage and stairs. Teak Wood Frames with Flush Doors. Kitchen: 2.6- height Ceramic wall tiles above Kitchen Platform. Granite Top. Stainless Steel sink. provision for exhaust fan. Premium Ceramic anti-skid tiles flooring. Concept Ceramic wall tiles upto 6.9" height Jaguar/EssEss or Similar Quality Premium Fixtures. Geyser point. Wash basin in each toilet and Western Commode. Synthetic paint for Doors. Tractor Emulsion for Internal walls and Asian Exterior Paints for External walls. 9" thick External Walls and 4-1/2thick Internal Walls. Sponge Finish for external walls and Lappam finish for internal walls. Teak Wood Frame & Doors with Premium Brass Fittings. Windows. CPVC frames and sliding shutters with glass and safety grills. Individual 3 Phase meters for each apartment. One 3 Phase meter exclusively for Lift. Bore Motors. Watch man room and Common Lighting. Registration Charges. VAT Service Tax & Other Government Fees/taxes/charges will be borne by the Buyer.